Solaria Corporation, global provider of solar modules and technology, announced that it is introducing its PowerVision-150 product to the electrical and solar distributor markets. Endorsed by leading glass and fabrication companies including Pilkington, AGC, and Walters & Wolf, Solaria PowerVision empowers the transformation of building facades, skylights, canopies and other structural components into power-generating assets. 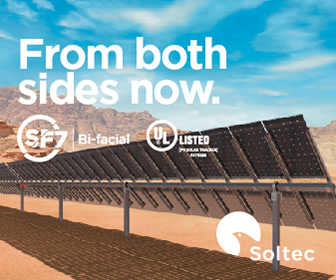 Deployment of Solaria’s patented technology —which leverages the reliability and efficiency of crystalline silicon technology— enables structures to generate electricity cleanly and reliably. Solaria’s unique solar cell process technology has allowed the company to develop an architecturally beautiful vision glass that can be used in locations not typically associated with solar panels; these include skylights, patios, and window openings, providing a see-through surface that generates electricity. Building owners and occupants accrue many benefits – as solar-outfitted windows mitigate the sunlight’s effect on a building. 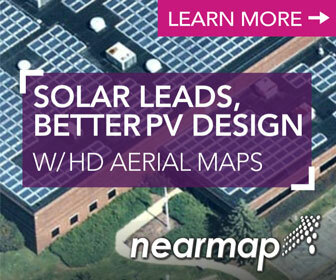 When combined with high-efficiency solar PV modules, together they offer a seamless strategy to unlock the full power potential of buildings with technologies that boost energy generation, providing high yield at a low cost. Extensively tested and demonstrated at Lawrence Berkeley National Laboratory’s FLEXLAB, Solaria PowerVision has proven to deliver a unique combination of high performance and high power density with optimized thermal performance, effective daylighting, and glare control.